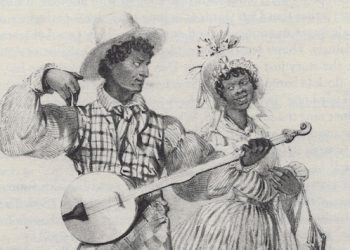 Folk music has been around for hundreds of years. It’s music that is often a reflection of what’s going on in the world at the moment. If there’s turmoil like war or social issues, folk music is like a storyteller reporting on the problems in the world for others to note. Folk artists have created songs like “This Land is Your Land” that turned into an unofficial national anthem. The songs are written to speak to regular folks that are plugging away at their lives. Songs that are meant to be folk songs are ones that everyone can relate to on a certain level. Years before television and radio, folk music was a kind of oral history. People sang to tell stories, and this storytelling was important so people would remember certain events and ways of life. In our folk category, you’ll find examples of some great folk songs through the ages. We have posts on how to make money at music, which applies to folk as well as other kinds of music. We cover the evolution of folk music in the U.S., and the specific characteristics that make a song a folk song. The history of a genre is important. You have to understand where the music started to really understand your place in it, and where it fits in going forward. We talk about the instruments that are part of the genre like the acoustic guitar and the banjo. We discuss the best banjo for folk music based on the characteristics of the genre, and the kind of instrument you’ll need. Definitely check that one out when you get a chance.